You probably know someone like my Great Aunt. My great aunt lives in a very small house in a very small town in northeast Iowa on a small fixed income. She has her share of health concerns, and is still as sweet as can be. She tends to her home the very best she can. When I told her that her income would probably qualify her for a Green Iowa AmeriCorps assessment at no cost, she took the opportunity and called our office. After hearing about the Green Iowa team’s findings, we are all grateful that she did! In 10 years of living there, she had never been in her basement, usually hiring a local handyman to tend to the furnace or water heater (stairs are hard for her). 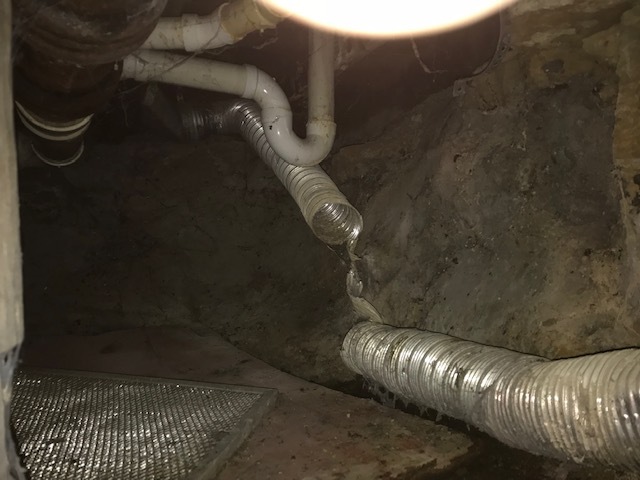 The team performed a routine check to her attic access and basement where cold air infiltrates and where the furnace and water heater are located. 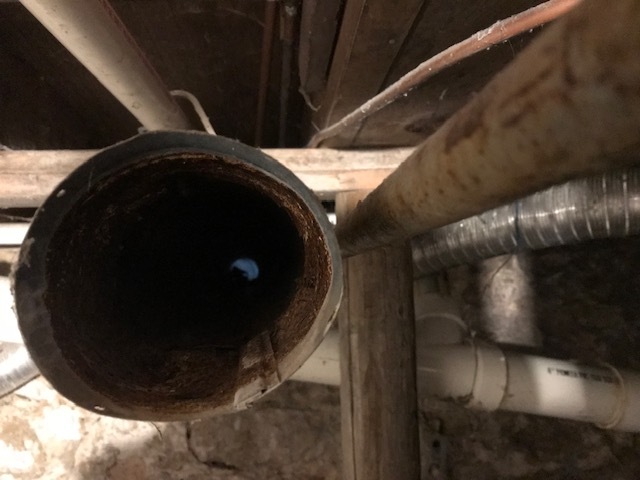 What they found was beyond air leaks. To top it all off, the dryer exhaust pipe was broken in two places, covering the basement with 1/4 inch of highly flammable dryer lint! The situation was inefficient and DANGEROUS. Thanks to the Green Iowa AmeriCorps team, my great aunt was able to call a family member to clean the basement and fix the ducts. Soon the Green Iowa team will return to seal up leaky ducts and vents and do a blower door test. We are excited to learn how the final blower door test will compare to the first one. We estimate that LED lighting and water upgrades alone will save her $190 annually. Equally as notable: the family is incredibly grateful to the Green Iowa team for drawing their attention to the dryer lint fire hazard. This whole situation made me wonder “how many other elderly folks haven’t been in their basements this decade?” Probably plenty. Your membership gifts provide essential support to provide free assessments for low income, elderly, veteran, and disabled residents. Every year members support the cost of the Green Iowa AmeriCorps team’s work. YOU make a difference in the lives of people like my aunt who don’t have the ability or know-how to tend to their home’s energy and safety needs. Thank you for supporting this work through your membership!